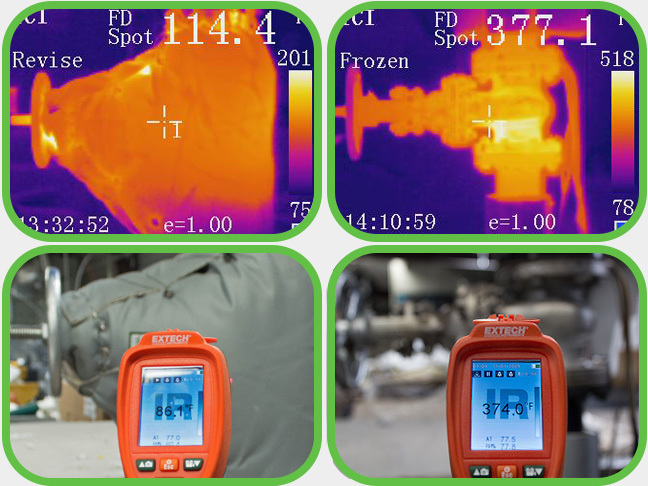 ISOCOVERS Insulation Systems offer a broad base of superior, energy-saving solutions that conserve energy, preserve process temperatures and improve workplace safety. ISOCOVERS Insulation Systems are used on various applications within the process industry where heat conservation and process temperature are concerns. ISOCOVERS ISO-HUB Insulation Jackets are suitable for end fittings in piping systems, including steam traps, end caps, blind flanges, or the like. ISOCOVERS Insulation Systems create a SAFER WORKING ENVIRONMENT for your employees and increase equipment lifespan by protecting key components from high temperatures. ISOCOVERS Insulation Systems are made with STANDARD, READILY AVAILABLE, OFF-THE-SHELF COMPONENTS that can be easily configured for almost any application requirement. ISOCOVERS Insulation Systems are COMPLIANT WITH OSHA SAFE-TOUCH STANDARDS for exposed heated surfaces (if there is a potential for injury). ISOCOVERS Insulation Systems deliver an INCREASED CONTROL OF PROCESS TEMPERATURES to enhance production capacity by reducing the amount of energy needed to keep equipment running at high temperatures.